At first glance this simple Volvo 740 might look like another soccer mom mobile, but peek under the hood and...great horns on Thor's helmet...the Yoshifab LS1 Volvo is back for sale again. You might remember when it first appeared in late 2012 from its builder Yoshifab,(who sold it for $8k according to his facebook page), it popped back up on ebay in March, then April 2013 from a seller in Ohio and then back on ebay in October of 2014 where it finally sold for $10,020. 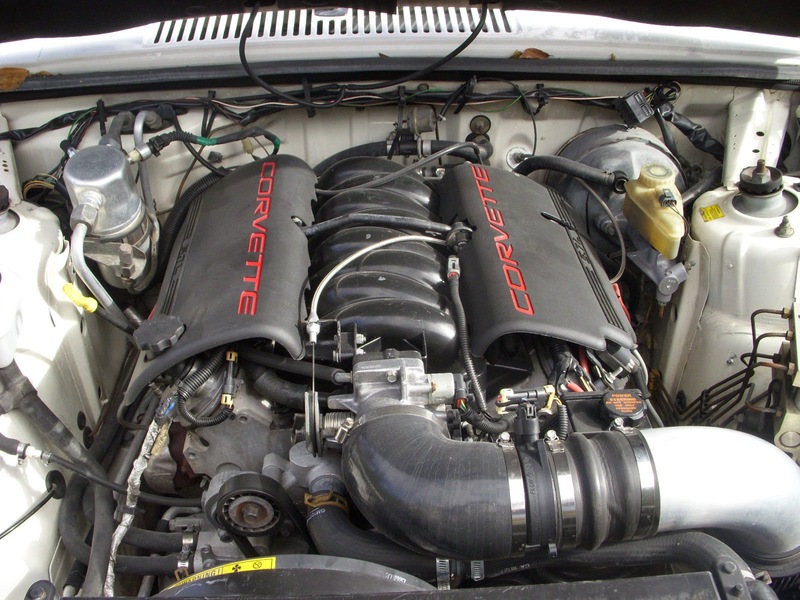 The new owner claims he decided he wasn't a V8 guy and put it back on eBay. 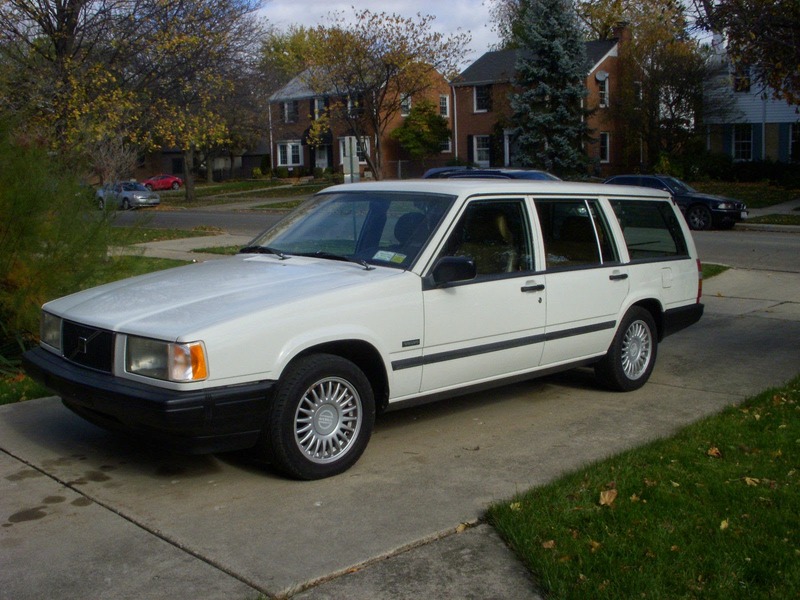 Find this 1992 Volvo 740 with LS1 V8 Swap currently bidding for $7,800 reserve-not-met with a few hours to go, located in Elmwood Park, IL. The oil trail on the driveway may hint that it has an automatic undercoating system. This car appears on DT so often it should get its own icon. Kaibeezy....? In my daily quest for yet another Volvo to play with I have taken note of this particular car every time and gotten to the brink of bidding every time, only to be held back for reasons I cannot put my finger on. The just-right V8olvo project is out there for me, just not this one, although it seems pretty well-sorted. No, my 8-cylinder dreams involve an 1800 chassis; my long roof ideal is turbocharged. Myself I am planning a 2015 Mustang 2.3 turbo for my 1800ES if I don't need to sell it in the spring. It should fit nice and be way lighter than the tractor motor and trans that is in it. Like the idea, but unless more has been done, I have a hard time paying more for it considering the flogging it obviously has gotten, and more wear and tear. ~ Another day, another owner- eBay shows a winning bid of $10,000. Why is no one asking why this car never finds a home. Seems to move around from one owner to another. What is wrong with it, and why haven't we heard the real story yet? I've been suggesting for quite some time that we start a quickstarter campaign to buy the car so that we can drive it and post the autopsy results. ~ Good catch, Geraldine. Saw it on my eBay alerts this morning. Still can't afford to play.